范文分析：The girls started tucking into their food but I just ended up playing with mine. I was starving, I could have eaten a horse, but I just picked at mine, mainly eating the rice, which had no flavour to it, and little bites of fish with my glass of water to wash it down. If I'd had my way, we would have gone somewhere else, to a place where I could have stuffed my face. I haven't had Japanese food since and I don't have any intention of trying it again. 高分语料： I was starving, I could have eaten a horse, but I just picked at mine, mainly eating the rice, which had no flavour to it, and little bites of fish with my glass of water to wash it down. 范文分析：I learned about this item from a lifestyle & travel related TV channel a few years ago. I was randomly checking the programs of different channels and I noticed this TV channel. The cook described in details how to prepare this food item, what ingredients would be required, how to make it tastier and I watched it all with utmost interest and attention. A few years later I found this menu in a billboard beside a big hotel in our city and at that time I planned to have it. Since it is a foreign food item and available only in this luxurious and expensive hotel, it would be quite expensive for me. 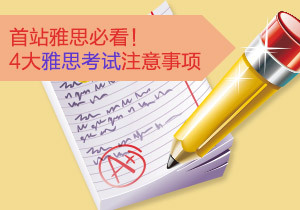 范文分析：So how did I learn what I’ve been missing? I shop regularly at a local family owned delicatessen. The proprietor is Italian, and he is a great foody – that is he takes food very seriously, sourcing only the best ingredients. He and his wife are both vegetarian like me, so they often suggest food or recipes. The other day we were talking and he was bemoaning the lack of ‘proper’ pizzas in this country. He told me that whilst of course, Italian food is very regional including its pizzas, they are nevertheless distinctive. All pizzas MUST be cooked in a wood-fired oven for a start, the dough should be tossed by hand. The pizza should only be made with the very freshest and finest ingredients, and is best eaten outdoors too, of course, against the backdrop of the Italian countryside! 高分语料：The pizza should only be made with the very freshest and finest ingredients, and is best eaten outdoors too, of course, against the backdrop of the Italian countryside!